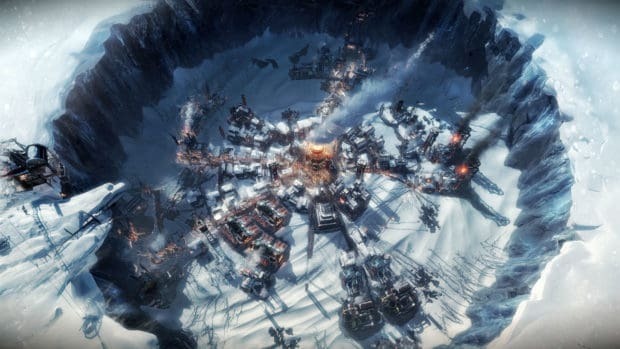 Frostpunk has launched as PC exclusive title and one benefit of PC games is that players can customize them to their liking, however, the PC titles also seem to get a lot of error due to the differences in each configuration and that is the case with Frostpunk as players have been experiencing Frostpunk errors like “missing MSVCP140.dll”, missing “MSVCP120.dll” and more. Here we will discuss all the Frostpunk errors and issues that players have been experiencing and will provide you with a possible fix or workaround so that you can play the game without any problem. Frostpunk is the latest title from 11-bit studios, the developer behind the critically acclaimed This War Of Mine. Frostpunk is a city building survival game that sees players responsible for the survival of a city in a harsh environment. The following are the errors and issues that Frostpunk players have been experiencing along with their possible fix and workaround. One of the issues that Frostpunk players have reported that when they try to start the game it doesn’t load and an error pops up notifying that “This program can’t start because MSVCP140.dll is missing from your computer”. The fix for this problem is simple, all you have to do is reinstall the game and also install the 64-bit version Visual C++ Redistributable and the issue should resolve. This is another Frostpunk error that PC players have been encountering that is stopping them from playing the game. The solution for this problem is simple, all you have to do is install Visual C++ Redistributable Packages for Visual Studio 2013 and the issue should never bother you again. This is another error that Frostpunk PC players have been experiencing which is a hurdle along the way. However, the fix for this error is simple, all you have to do is install the latest version of Microsoft .NET Framework and the error should be resolved. However, if that doesn’t fix the problem then update the DirectX and this error should not bother you again. Some PC players have reported that when they try to play the Frostpunk the game either fails to start or nothing happens. If you have already tried the above-mentioned methods and the game still doesn’t start then there is a possible fix for this issue, just update your GPU drivers to the latest version and the issue should resolve. This is another one of the issues that PC Frostpunk players have been experiencing but, the solution to this issue is simple. All you have to do is start the game and when the Black Screen appears press “ALT + Enter” and the game will go into windowed mode. The reason why the black screen was appearing is that sometimes games set the default resolution higher than the monitor’s display resolution. All you have to do now is go the video settings and set the resolution to your monitor’s native resolution and then you can play the game in fullscreen if you want. However, if the “ALT + Enter” doesn’t work then all you have to do is find the game’s config file and change the resolution from there. Go to C: users/”your username”/appdata%/11bitstudios/frostpunk/config.bin. Open the config file in a notepad and look for the game’s resolution and change the height and width of the game to your monitor’s native resolution and save. Now start the game and the Black Screen fix should fix. Now Frostpunk error is somewhat related to the Black Screen issue, however, the solution is almost similar to fixing the Black Screen too. All you have to do is go to C: users/”your username”/appdata%/11bitstudios/frostpunk/config.bin. Open the config file in notepad and look for the refresh rate and change it to your monitor’s refresh rate. Most of the monitors support 60 Hz refresh rate, so try changing to that or look for the refresh rate of your monitor on the internet and set it to that. Save it and start the game and you should be able to play the game. Of all the PC gamers who are playing the game, Windows 7 users are facing the most issues with the game. While the above mentioned missing dll file errors are popping up for Windows 7 users, but there is another solution that might help you play the game. To resolve the api-ms-win-core-libraryloader-l1-2-0.dll issue, first find the “C:\Windows\SysWOW64” once in the folder, open your browser and search for “api-ms-win-core-libraryloader-l1-2-0.dll” on the internet and download it. Copy the downloaded file in the folder mentioned above and issue should resolve. As for the missing “D3DCompiler_47.dll”, first locate the “C:\Windows\System32” and again open up the browser and download the required file and paste it in the folder. However, we don’t recommend doing that since it may compromise your system. Many PC players have reported that despite their system being more powerful than the game’s recommended system requirements there are some serious frame rate drops in the game along with constant in-game stutter. The solution for this issue is simple. All you have to do is start the game and then open “Task Manager” and click on “More Details”. Now select the “Details” tab and find the game’s exe. Right-click on the exe and change the priority any option above “Normal”. This will resolve the frame rate drop issue and the constant stutter in the game. You can also try to update your GPU drivers to the latest version as they bring optimizations for latest games. Furthermore, you need to check if there is a background process running that is using too much HDD which can cause stutters. Close that application for a smoother experience. That is all for our Frostpunk errors such as missing MSVCP140.dll along with their possible solution. If you have a better solution to an issue or we missed anything? Let us know in the comments.